Strange but true Luke and Rayan Novosel aged 11 years twins of Highcrest High Scool of Illinois, notified the Guinness Book of World Records about the information. These kids did surprize the school authorities by telling that not only they were 24 sets of twins in the same school but the same grade and that was a world record. Earlier the record was jointly held for 16 sets of twins by three different schools Valley South woods Freshman High School in Iowa, Staples High School in Connecticut, and Maine South High School in Illinois. . It is quite an incident. The school teacher say that many times when the kids wear the uniform. It is rather difficult to recognize them. According to Fox News, the 24 sets of twins include 11 sets of girls, three sets of boys, and 10 sets of boy-girl twins. 1)The brain never feels any pain as pain cells nociceptor do not exist in the brain that is why surgery can be preformed while one is awake. 2) Mirror neurons are the one which copy. Generally yawning is repeated by the onlooker because the mirror neurons are active during the process and the onlooker yawn. 3) Heart stopped ( dead) but the brain is still alive.The brain can still work upto six minutes after the heart stops to work. This is because of the blood circulation which goes on even after the heart stops to pump. 4) It has been established that brain requires as much power as is required to burn a 15 watt bulb. 5) Brain has 60 % fatty molecules which take part in all its performances. 6) The outer grey matter around the brain is called cerebral cortex. 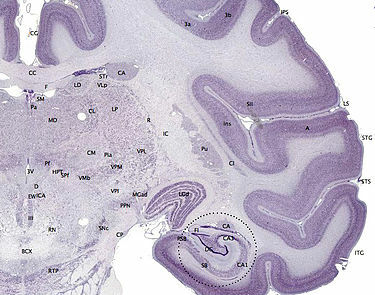 The cortex spreads and cover the area as much as that of a newspaper.